I'm all about tacos. Love em to death! But sadly, I'm not a huge fan of carbs. They make me bloated, gain weight and a few hours after I eat them I start to feel really weird. For Cinco de Mayo this year I decided to keep the taco tradition alive by having a feast without the carby tortillas. I made two small meals in order to have variety and have something to munch on throughout the day. 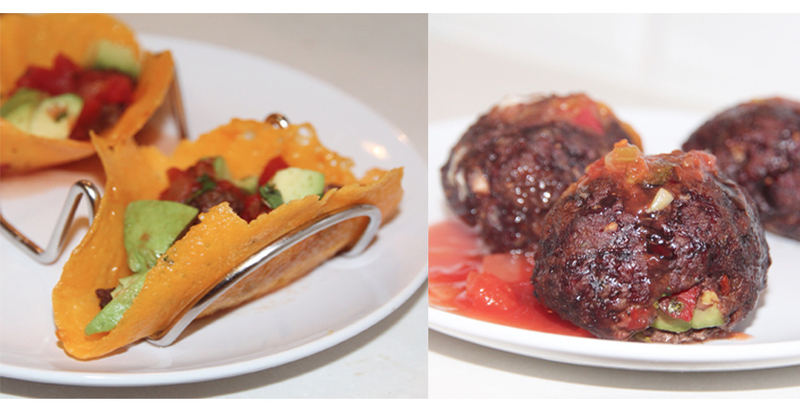 The two meals were cheese shelled tacos and Mexican stuffed meatballs. Both were super easy to make and a total hit! Season the beef with salt, pepper, onions, garlic and hot sauce. Cover and refrigerate for at least 1 hour. 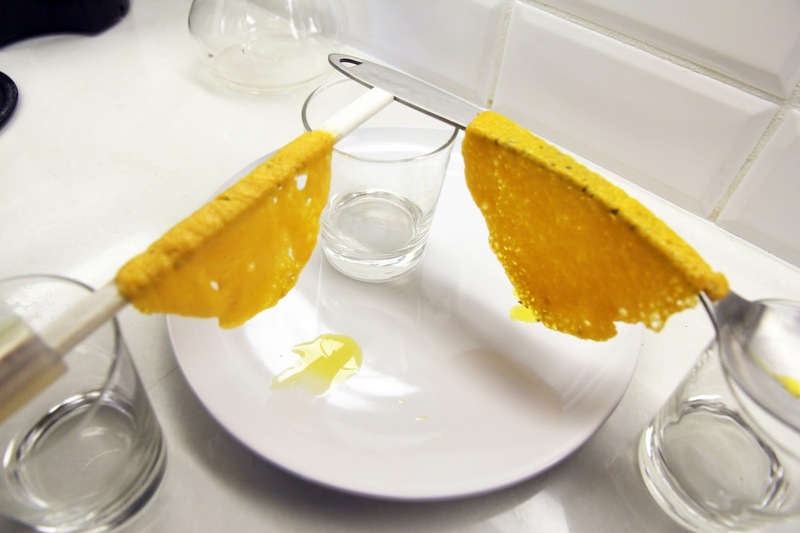 Remove cheese from mat and hang over a spoon quickly--don't let them start to cool before you do this. Top with meat, avocados, tomatoes, cilantro and hot sauce. Stuff with avocados, cheese, tomatoes, cilantro and hot sauce. Cook meatballs for 20-40 minutes. The liquid from the hot sauce and tomatoes will keep the meatballs from getting dry while letting it cook all the way through. Be sure to use your food thermometer to ensure high heat within the meatballs so that you don't take them out prematurely. Serve with hot sauce and enjoy. Come on, tell me these don't look super easy to make? I love being able to eat food that's packed with flavor without succumbing to added sugar, sodium and of course, carbs. I never thought I'd be okay eating something that tasted like a taco without a crunch or soft tortilla. Nor did I expect to use so much. And by 'so much' I mean even a drop, because I was never a huge fan of it until I came out to SoCal and started eating all the yummy food it had to offer. ¡Sabor! Hot Sauce is super potent and flavorful sauce that worked well well as a part of my recipes. I like that I was able to use it inside my meatball as well as on the side in order to give the outside a bit of a kick.I like to cook with garlic but refrained from doing so because this sauce had already had a good amount in it. I'm telling you, if you're into hot sauce, you need to get on this. Head on over to their site to read more about it and order a bottle or two. It's not only a super great condiment, but adds a ton of flavor to any recipe! 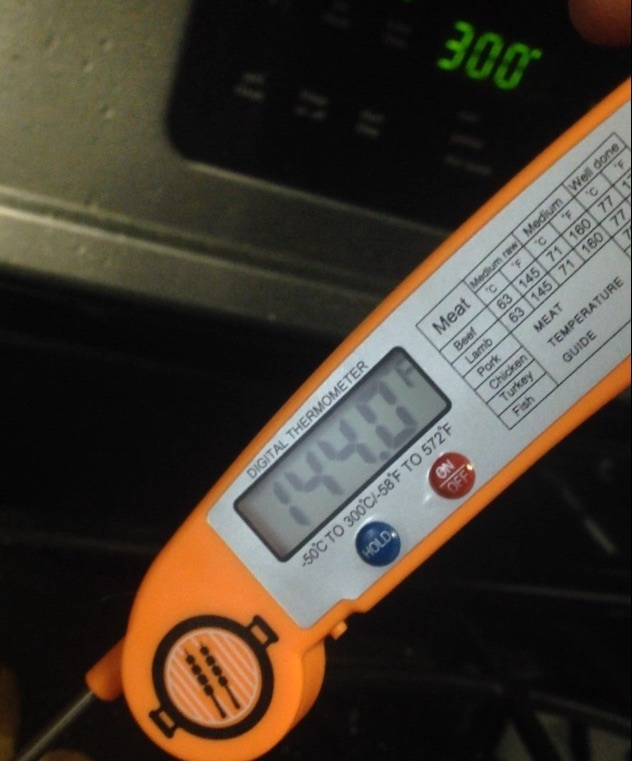 In order to check the temperature of my meat while it was cooking I made sure to use my handy thermometer by Marshcone. This is my first time using one so I was excited to give it a spin while I made meatballs, since sometimes I've taken them out of the oven because the outside cooked a lot quicker than the inside. I like my meat medium rare but only when it comes to steaks. Meatballs and burgers are a whole other ballgame! What is great about this thermometer is that it makes it super clear to know what temperatures you need the meat the be. Not only does it comes with batteries but it give you all the settings for beef, chicken and fish and it gives a heads up on what the temperature needs to be depending on how rare you like your meat. It also has a hold button which was great for me because I had to put it in the oven and didn't want the temperature to start changing once I took it out. I have to give this two thumbs up! It's easy to hold, the temperature tube is long enough to reach anything I may have in the back of the oven (if I happen to be cooking lots of food), easy to read display and the hold button. You can grab one of these from Amazon just like I did if you want to give them a shot. All in all, this carbless Cinco de Mayo was a total win for me and I can't wait to keep my carbless life in tact as more holidays start rolling in!